Warning: Don’t read this article if you want to avoid feeling an unpleasant sensation in the pit of your stomach. The issue here is: refusing to believe an uncomfortable fact. There is a simple formula that describes how the public refuses to believe an uncomfortable fact. It’s a statement that suggests a person is standing at the edge of a cliff. And if he accepted some particularly unpleasant fact, he’d suddenly fall off. Another way to look at it: if he accepted this fact, it would lead, by contagion, to him admitting there were other very uncomfortable truths. And then, by extension, like branches quickly growing out of a tree, a whole host of multiplying shocks would become known. So it is, in the area of vaccines. The experts, like preening peacocks, assure us that the shots are amazingly safe. After all, they’ve done the studies. They’ve published the studies. There is widespread fraud in those reports, because, for example, of the short follow-up period—as if adverse effects could only occur in a 72-hour window, or over the course of a few weeks. Who decided that? Who made that arbitrary rule? And then, most importantly, studies are not real life. We have seen glowing assessments of medical drugs in print, but when they are (like Vioxx) released for public use, people start dropping like flies. Who can make a report of an adverse vaccine-reaction? A parent, a doctor, a nurse, a nurse practitioner. You can see the problems right away. How many parents even know the VAERS system exists? How many parents have the knowledge or the will to follow through and submit a report? How many parents will dare to suspect that a vaccine has injured their children? How many doctors or nurses who administer vaccinations are eager to report cases of children who incur obvious brain damage from the shot THEY GAVE? So…for doctors and medical experts to claim vaccines are safe in the real world? They’re pretending they know what they don’t know. They’re faking it. That’s right. If that were true, we would have no proof that vaccines are safe. Therefore, when the government advises and nudges and even demands that people line up for vaccinations, the government is in the dark about safety. Completely in the dark. Then the entire population is at risk. Let’s go back to those pre-marketing studies, which are done on vaccines in order to gain FDA approval. Who conducts the studies? The vaccine manufacturers. And who stands to profit from the sale of the vaccines? Ever heard of conflict of interest? And have any studies been done to assess the risks of giving multiple vaccines? After all, the CDC schedule keeps getting longer and longer. I can find no evidence of well-formed clinical trials assessing the safety of shooting people in the arm with multiple vaccines. Does that seem like an oversight? A horrendous hole in the “science” of vaccination? We would, again, have no proof that vaccination is safe. What about this? “Accidents may, however, follow the use of this so-called killed (rabies) vaccine owing to inadequate processing. A very serious occurrence of this sort occurred at Fortaleza, Ceara, Brazil, in 1960. No fewer than 18 out of 66 persons vaccinated with Fermi’s carbolized (rabies) vaccine suffered from encephalomyelitis and every one of the eighteen died.” Sir Graham Wilson, Hazards of Immunization. What about this? “… Based on the only U.S. findings on adverse DPT reactions, an FDA-financed study at the University of California, Los Angeles, one out of every 350 children will have a convulsion; one in 180 children will experience high-pitched screaming; and one in 66 will have a fever of 105 degrees or more.” Jennifer Hyman, Democrat and Chronicle, Rochester, New York, special supplement on DPT, dated April, 1987. What about this? “A study undertaken in 1979 at the University of California, Los Angeles, under the sponsorship of the Food and Drug Administration, and which has been confirmed by other studies, indicates that in the U.S.A. approximately 1,000 infants die annually as a direct result of DPT vaccinations, and these are classified as SIDS (Sudden Infant Death Syndrome) deaths. These represent about 10 to 15% of the total number of SIDS deaths occurring annually in the U.S.A. (between 8,000 and 10,000 depending on which statistics are used).” Leon Chaitow, Vaccination and Immunization, CW Daniel Company Limited, Saffron Walden, Essex, England, 1987. What about this? “Up to half of family doctors do not want to be vaccinated against swine flu. GPs will be first in the line for the jabs when they become available but many will decline, even though they will be offering the vaccine to their patients. More than two thirds of those who will turn the jab down believe it has not been tested enough. Most also believe the flu has turned out to be so mild in the vast majority of cases that the vaccine is not needed. Last night Government experts criticised GPs who decide not to have the jab, saying they will put vulnerable patients needlessly at risk. A week ago, a poll of nurses showed that a third would turn down the opportunity of being vaccinated against swine flu. 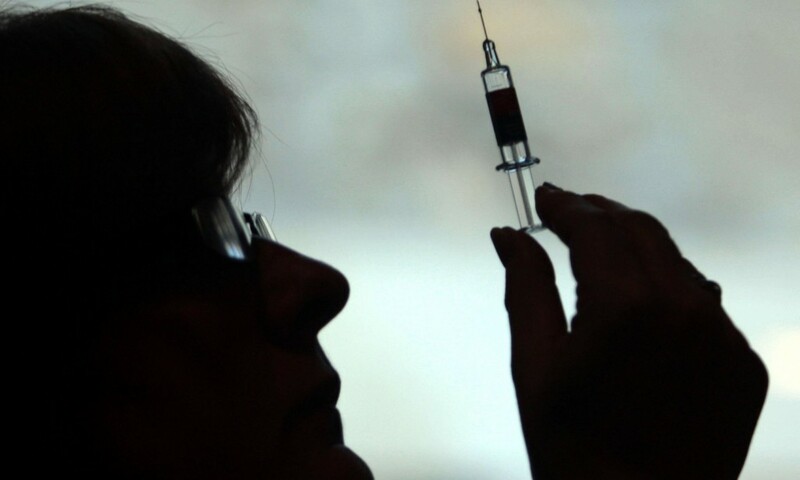 News that medics are unconvinced by the need for a vaccine will cause grave concern to patients who will be invited for the jab over the next few months. A poll of doctors for Pulse magazine found that 49 per cent would reject the vaccine with 9 per cent undecided.” Daily Mail, 8/25/2009. These few references to vaccine disasters are but a drop in the bucket, of course. Doctors and medical bureaucrats are telling massive lies about the safety of vaccines. They aren’t just ignorant about safety. How can we trust these people? How can we trust the major media outlets that give overwhelming support to these people? Then Reality is not what we’re told it is. It’s the opposite of what we’re told. And this isn’t merely an intellectual glitch. Every day, lives are on the line. More than 10 million vaccines per year are given to children less than 1 year old, usually between 2 and 6 months of age. At this age, infants are at greatest risk for certain medical adverse events, including high fevers, seizures, and sudden infant death syndrome (SIDS). Some infants will experience these medical events shortly after a vaccination by coincidence. These coincidences make it difficult to know whether a particular adverse event resulted from a medical condition or from a vaccination. Do you see the diabolical criminal sophistry? Some infants will experience these medical events [seizures, death, etc.] shortly after a vaccination by coincidence. 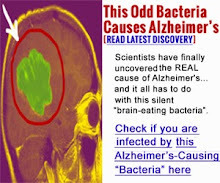 Yes, you see, an hour after the baby was given the vaccine, he also contracted a raging case of meningitis, or his parents also, coincidentally, fed him a poison, or a bio-warfare germ floated in the window and settled on his tongue, or a flash of light from a distant galaxy struck him in the eyes and blinded him. Therefore, reputable scientists are unable to determine whether the vaccine caused the damage. This is what government scientists and bureaucrats are selling terrified grief-stricken parents whose child’s life has just been destroyed by a shot in the arm. This is what you shouldn’t question, because if you do, you might experience an unpleasant sensation in the pit of your stomach. They, the scientists and the doctors and medical bureaucrats, are, indeed, prepared. They’re fully prepared, without a shred of conscience, to explain how their attack on your child’s life had absolutely nothing to do with them. This entry was posted on April 18, 2016 by conspiracyanalyst in Health & Wellness, US News, Vaccines and tagged vaccines.